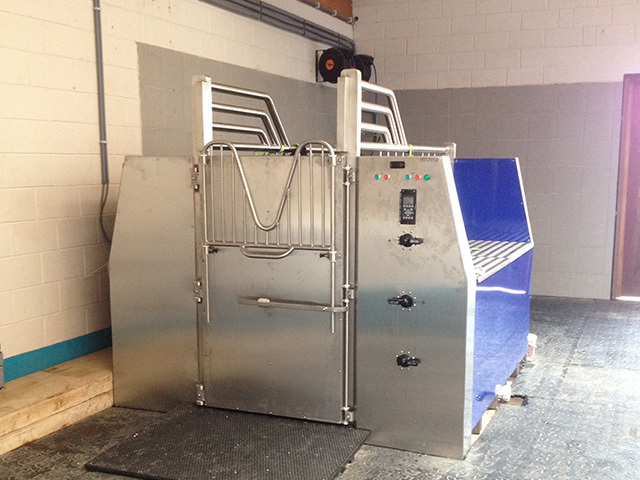 As we manufacture and design our spas in-house we can provide bespoke Equine Spas, portable full size Equine Spas and mobile Mini Equine Spas and optional features customized according to our clients’ individual requirements. Full or half sized stainless steel doors [No dismantling] – some feel half doors are good for introducing new horses, while others feel it encourages them to jump out. Full or half sized shatterproof transparent doors - some feel horses are more at ease in the spa with a lighter more open feel. Vary the door height – For instance, when working exclusively with quarter horses you may want the doors to be slightly shorter. Choose the small and convenient mobile Mini-Spa for use at competitions. 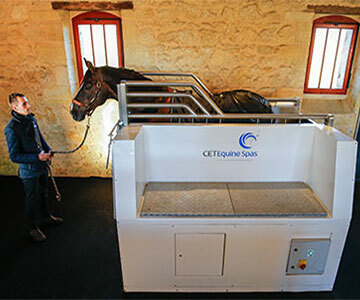 Add the full size Equine Spa to a trailer or truck. Choose between standard safety rails and neck-guard or remove them for a more open feel. Choose colours to match your barn or team colours. Add your barn, team or centre logo. Water tank size of your choice (Classic option only). 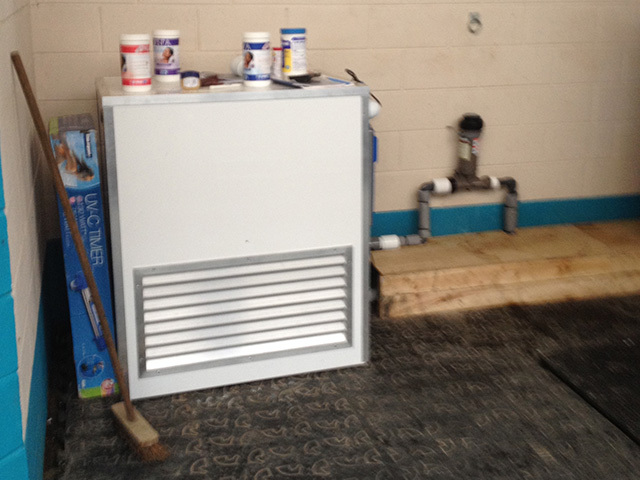 Or even two tanks – one hot and one cold. Vary the width of the Deluxe Spa to suit your facility or trailer etc. Spa covers – to protect your spa from bird droppings for example. 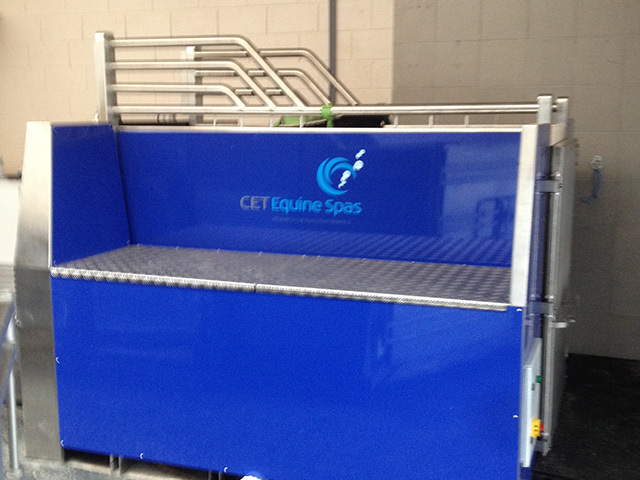 In addition, as CET manufactures Equine Spas from 316 Marine Grade Stainless Steel, we can design your spa to suit your space requirements. Our Deluxe Equine Spa and Classic Equine Spa are also crafted to fit through narrow doorways, for example, in listed buildings.